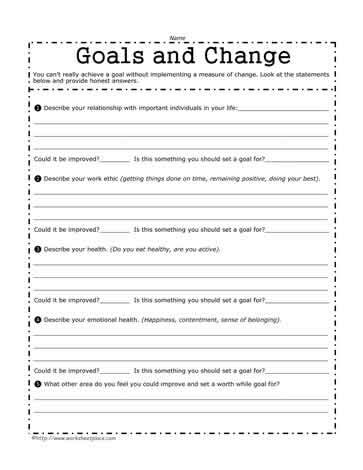 This goal setting worksheet requires you to look at the changes needed in your life. You can't really fully realize a goal without first making changes to something. Are you happy with your physical presence? Your social intelligence? Your emotional well being? If not, what needs to change? Identifying what you need to see a change in also helps you set and realize realistic goals.